Our employees are embedded with a customer first philosophy. Owned by a professional window cleaner that cares about clean spotless glass. Insures to enhance any environment. Established in 2006. Most equipment made in Colorado. We strive to do fast, friendly, and quality work whether that is for your business or your house! 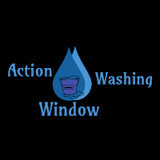 Our professional Window Washing business is well renowned throughout the Denver Metro area. Every job that we start we work with the skill and experience our clients have come to expect. We always stand behind our work, with customer satisfaction being our #1 priority. Click the link below to contact us to get an estimate for our incredible work and how we can help you to see a clearer picture no matter what window you look out or in! 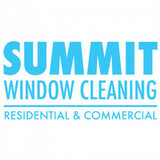 Summit Window Cleaning is Denver's premier window cleaning company. We're committed to providing excellent residential and commercial service to the Denver metro area. We have extensive experience, utilize the newest and high quality tools like Pure Water cleaning technology, non-toxic streak free soap, and tools that can't be purchased at home improvement stores to give you the best possible results and experience. We also offer gutter cleaning and solar panel cleaning. Window King Window Washing Service is a family run, professional window cleaning service that you can depend on, for your home or office. We've served over 1,000 satisfied customers since 1994. You get dependable, honest and quality workmanship. Our professional crew will treat you and your home with the utmost care. You may find a cheaper service – but, you'll not find a more caring, careful and organized, professionally oriented Window Washing Company. Call us now for a Free No-Obligation Estimate. Mention that you saw our website and receive $10 off your first window wash.
For over 23 years, Owner JOHN SWANIGAN and his team have been earning loyal customers throughout the Front Range of Colorado. John served our country for 11 years in the United States Air Force and knows the value of hard work, done right, and on time. Regular customers consider the establishment and management of The Window Guys to be second to none. The warmth and genuine appreciation we receive from customers have made this a business like no other. From Colorado, serving Colorado, John has built his business on the premise that we are performing a quality of life service to each and every customer. As John always says, "LIFE IS TOO SHORT TO CLEAN YOUR OWN WINDOWS". So go enjoy the great outdoors of Colorado and let The Window Guys give you the cleanest windows you've ever seen! A J Window Cleaning, Inc.
What makes AJ Window Cleaning exceptional? Personal service from the owner of the company. All work inside the house by bonded and insured workmen List of references from all types of satisfied customers (home and business owners, realtors) Colorado native Fifteen years of experience in commercial, residential, industrial, construction clean up We stand by our work Competitive pricing, true value for your dollar! Our service includes thoroughly cleaning screens, sills and ledges. Extras may be negotiated Committed service to many repeat customers We sweat the small stuff We offer efficient, detailed attention to making your windows spotless! Environmentally friendly cleaning products used with time honored hands-on skill! My name is Don Hall I am owner and operator of Hall's Window Cleaning. I have been in business for approximately 12yrs, specializing in Residential and Commercial Properties. I believe in satisfied customers by using qualified and trained personal. I am bonded and insured. I would like to be considered for providing window cleaning services at your resident or commercial property. I propose to provide window cleaning service: which would include cleaning each window inside and out: thoroughly cleaning each screen,each glass door, each patio door, cleaning each windowsill and window track. ESTIMATES are FREE Our company is based on the belief that our customers' needs are of the utmost importance. Our entire team is committed to meeting those needs. As a result, a high percentage of our business is from repeat customers and referrals. We would welcome the opportunity to earn your trust and deliver you the best service in the industry. 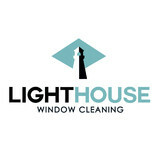 Professional Window Cleaning was started by Dave Kaminski in June, 1999. It has been his passion and enjoyment to provide the best possible window cleaning services for both residential and commercial customers ever since! We work very hard to make certain we have upstanding employees who carry Dave’s passion and his care for your home or business. High quality residential window cleaning requires professional equipment such as extension poles, squeegees, eco-friendly cleaning solutions and ladders, among others. When you hire our professional services, you don’t need to worry about acquiring the necessary equipment or creating space in your home to store them until your next cleaning task. Our team of window cleaners has the expertise and necessary equipment to clean different types of windows efficiently and quickly. Our residential cleaning services extend the lifespan of your windows and restore their brilliance. We offer either exterior only or interior and exterior window cleaning services. Our premium complete service includes interior, exterior, screens, and tracks. Butler Window Washing was founded in 2012 and has been proudly serving Parker, CO for over 5 years. In that time period, Dave and Ty have grown the business to over 10 employees. 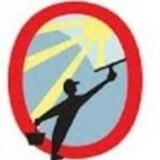 Butler Window Washing LLC is a pressure washing contractor serving the Parker, CO area. Services include Pressure Washing, Residential Pressure Washing, Commercial Pressure Washing, Gutter Cleaning, Window Cleaning, Algae Removal, Concrete Cleaning, Pool Deck & Patio Cleaning, Paver Cleaning and Deck & Fence Cleaning. Serving towns of Denver, Aurora, Littleton, Englewood, Parker, Castle Rock, Lone Tree, Elizabeth, Larkspur, Franktown, Kiowa, Watkins, Centennial, Cherry Hills, Cherry Hills Village, Foxfield, Glendale, Greenwood Village, Highlands Ranch, Lonetree, Louviers, Lowry, Montbello, Montclair and Sheridan.